There are many candlestick patterns but only a few are actually worth knowing. Here are some candlestick patterns worth looking for. Remember that these patterns are only useful when you understand what is happening in each pattern. They must be combined with other forms of technical analysis and confluences to really be useful. The following patterns are divided into two parts: bullish and bearish candlestick trading patterns. We will be discussing om of the most common patterns. First, let’s start with the bullish patterns. This is definitely one of the major patterns, it’s one of my favorites. This pattern consists of two candles. The first candle is a narrow range candle that closes down for the day. The sellers are still in control of the stock but because it is a narrow range candle and volatility is low, the sellers are not very aggressive. The second candle is a wide range candle that “engulfs” the body of the first candle and closes near the top of the range. Demand is greater than the supply, the buyers taking over. This pattern occurs when a security trades significantly lower than its opening, but rallies later in the day to close either above or near its opening price. This pattern forms a hammer-shaped candlestick, in which the body is at least half the size of the tail or wick. It mainly occurs at the bottom of downtrends. It’s considered a market bottom or a support. This a pattern in which a large candlestick is followed by a smaller candlestick whose body is located within the vertical range of the larger body. When you see this pattern the first thing that comes to mind is that the momentum preceding it has stopped. On the first day you see a wide range candle that closes near the bottom of the range. The sellers are still in control. Then on the second day, there is only a narrow range candle that closes up for the day. This is a two-candle formation commonly interpreted by traders and analysts as a bullish market reversal signal. This pattern is considered a sign of impending trend change from downtrend to uptrend. On the first day you see a wide range candle that closes near the bottom of the range. The sellers are in control. On the second day you see a wide range candle that has to close at least halfway into the prior candle. Those that shorted the stock on first day are now sitting at a loss on the rally that happens on the second day. This can set up a powerful reversal. 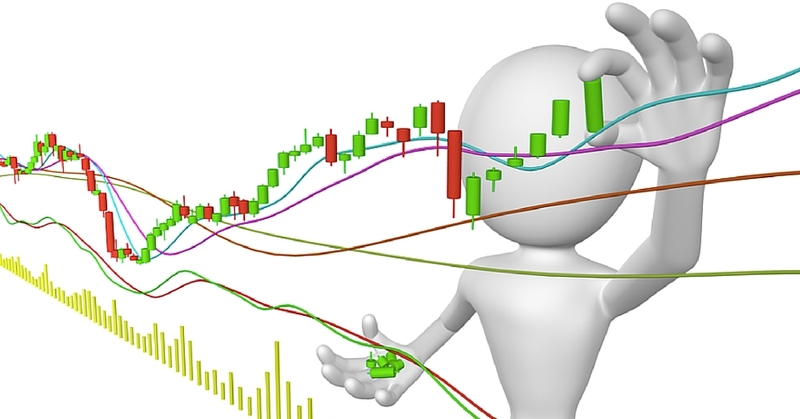 The doji is probably the most popular candlestick pattern. 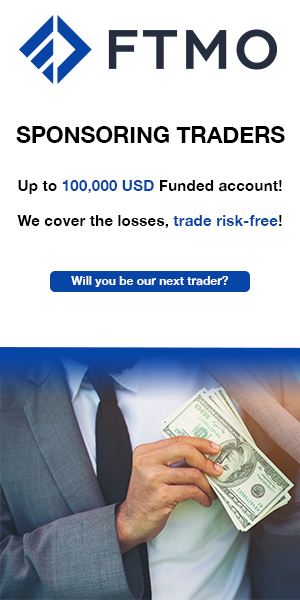 It’s characterized by being small in length (meaning a small trading range) with an opening and closing price that are virtually equal.The stock opens up and goes nowhere throughout the day and closes right at or near the opening price. It represents indecision and causes traders to question the current trend. This can often trigger reversals in the opposite direction. All of the bearish patterns are the opposite of the bullish patterns. These patterns come after a rally and signify a possible reversal just like the bullish patterns. SO if you understand the bullish patterns you can expect the same from the bearish patterns but only in the opposite direction. 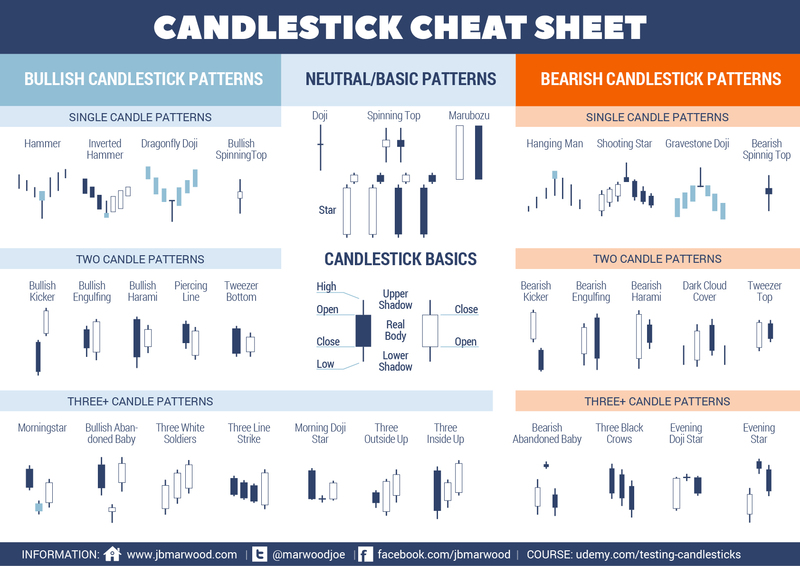 Below is a cheat sheet that will help you recognize the different candlestick patterns. This is a really good cheat sheet, be sure to print it out and keep for your reference. Before I go, there’s one more pattern worth mentioning and that’s the kicker. It’s said to me one of the most powerful patterns of them all. You can see in the above graphic why this pattern is so explosive. Like most candle patterns there is a bullish and bearish version. In the bullish version, the stock is moving down and the last red candle closes at the bottom of the range. Then, on the next day, the price gaps open above the previous days high and close. 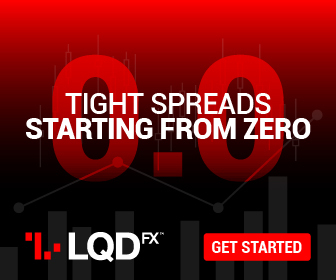 This “shock event” forces short sellers to cover and brings in new traders on the long side. This is the opposite in the bearish version. Should you wait for confirmation with candlestick patterns? Most traders are taught to wait for confirmation. This means that they are supposed to wait until the following day to see if the stock reverses afterward. This is not always necessary. If a stock pulls back to an area of demand (support) and I have a candlestick pattern that’s telling me the buyers are taking control, then I’m not waiting for confirmation, that’s all the confirmation I need. This is especially helpful when swing trading because you want to be a step ahead and get in before the crowd piles in. Be a trader that helps set the trend, not follow it. This is the low risk, high odds play. And who doesn’t like that?